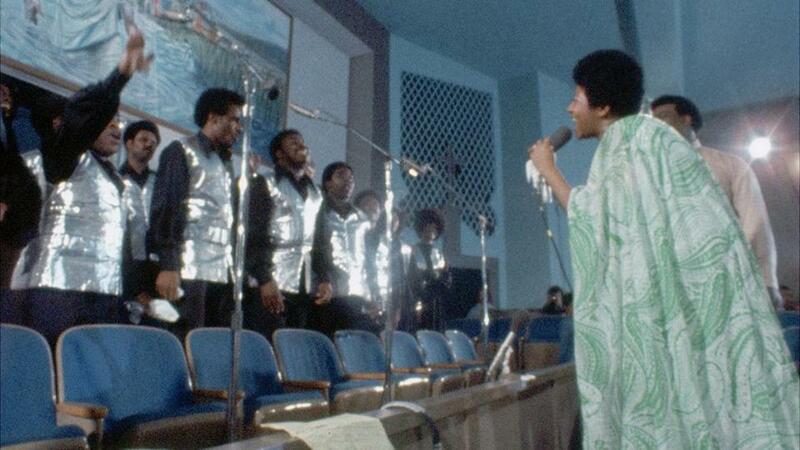 Aretha Franklin recording gospel album “Amazing Grace” in 1972, as seen in documentary film "Amazing Grace." “I want to remind you that you are in church and this is a religious service.” So sayeth the Rev. James Cleveland of the New Temple Missionary Baptist Church in Los Angeles as he introduces Aretha Franklin. It’s January 1972, and the singer, already celebrated as the Queen of Soul, is here this night to find her way back to her spiritual and musical roots. Out of this two-night stand will come the double album “Amazing Grace” — still the best-selling live gospel record of all time — and a documentary that will remain unseen for nearly half a century. That documentary is at last here, and it stands as a mighty historical document, a balm to the soul, and proof of genius. “Amazing Grace” sat on the shelf all those decades because director Sydney Pollack hadn’t been able to synch sound to picture, but technical and other issues have been ironed out by project supervisor Alan Elliott, who has long toiled to bring this film to the public. Unexpectedly, “Amazing Grace” also reveals an artist uncorking her talent one night only to bottle it back up the next. 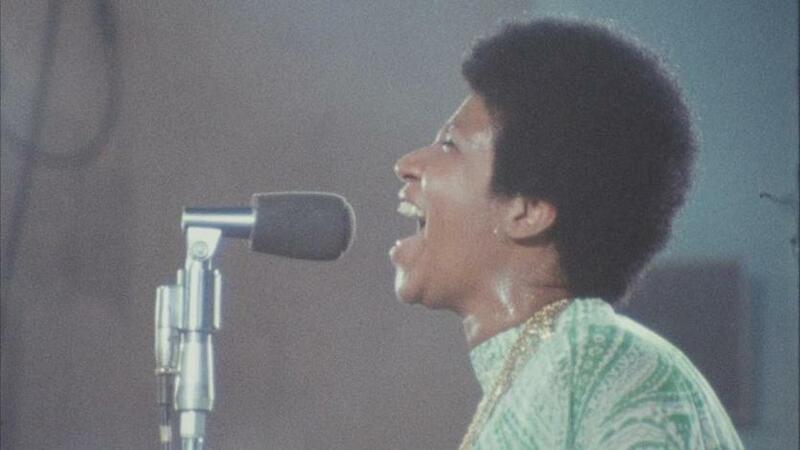 Perhaps that’s the reason Franklin — who tended to her public image assiduously and sometimes litigiously — sued to halt a festival screening of “Amazing Grace” in 2015, three years before her death. No matter. One of the holiest of pop-culture grails has been brought at last into view. Like the man said, we are in church and this is a religious service. Still, it’s the first of the two concerts, held on Thursday, Jan. 13, that burns itself into your heart. The audience is small this night and made up mostly of the church’s African-American congregation. They’re nearly outnumbered by the singers of the Southern California Community Choir, resplendent in silver lame vests under the joyfully charismatic leadership of choir director Alexander Hamilton (really). Everyone in the room is feeling the spirit, especially the star. What she does with the familiar title song is even more astounding. Franklin takes “Amazing Grace” apart and puts it back together as something profoundly private and devotional. She stretches out vowels and repeats phrases, scales the mountain higher with each verse and takes the entire church with her. Yet there’s a palpable feeling of relief under all her vocal pyrotechnics — a sense of freedom found by coming home. Aretha Franklin in the documentary film "Amazing Grace." What did this music mean in Franklin’s life and what did it mean to her that night? The answers are never articulated, but Pollack’s camera crew captures something raw and electric in the room; at one point, Cleveland just sits down in a pew and sobs. Yet that sense of divine mystery — of riding the power of the human voice all the way up to the Heaven — is exactly what’s missing on the second night, Friday, Jan. 14. What you don’t get much of in this evening’s concert — at least in the filmed version — is Aretha Franklin. The camera seems to focus more on the choir and its energetic young director, on Cleveland, on the notables present. At one point the older Franklin rises to give a speech praising his daughter, the phrases ringing out in the reverend’s patented “million-dollar voice.” Aretha smiles modestly and keepsher thoughts to herself. It’s useless to speculate what was going through her head (other than to note that all the evidence points to C.L. Franklin as a particularly challenging father figure). What’s obvious is that the delirious abandon of the previous night has vanished. What we get from Franklin on Friday is a performance. What happened on Thursday, by contrast, was as personal as it gets. But no one was watching then. No one important, anyway. Both in spite of and because of the dichotomy, “Amazing Grace” demands to be seen, preferably in a crowded, testifying theater. The movie allows us the great, rare privilege of seeing (and hearing) the Queen of Soul reclaiming her soul, by herself, for herself, for her God. And then it shows her waking back up to a worldly stage, with all its claims and contradictions. In 87 all-too-brief minutes, Aretha Franklin ascends to the mountaintop — and then reluctantly comes back down. Directed by Alan Elliott and Sydney Pollack. Starring Aretha Franklin. At Kendall Square, Coolidge Corner, Boston Common, Embassy Waltham. 87 minutes. G.